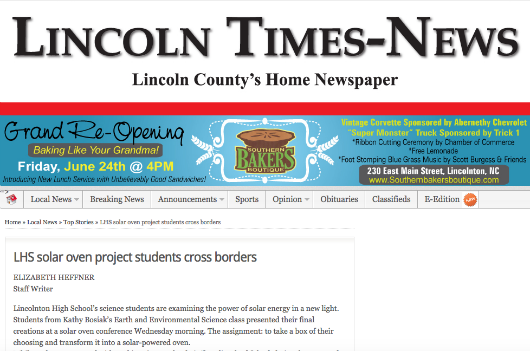 "Lincolnton High School’s science students are examining the power of solar energy in a new light. Students from Kathy Bosiak’s Earth and Environmental Science class presented their final creations at a solar oven conference Wednesday morning. The assignment: to take a box of their choosing and transform it into a solar-powered oven."